Children can learn so much through play. Unstructured play benefits kids' mental and physical health; it helps them make sense of the world around them through teaching boundaries and social interactions; and it's even good for you, too, mama. But how many toys do your little ones really need? And which ones will get played with the most? When choosing toys for your baby+ toddler, we like the less-is-more Montessori-inspired approach: fewer, higher quality toys, each with a purpose, made from mostly natural materials, that can grow along with your child. Clutter can be overwhelming for little ones, and the science tells us that children play longer and more happily with less toys. We've chosen nine Montessori-inspired toys that will inspire imagination and encourage open-ended play from the baby years through toddlerhood + beyond. 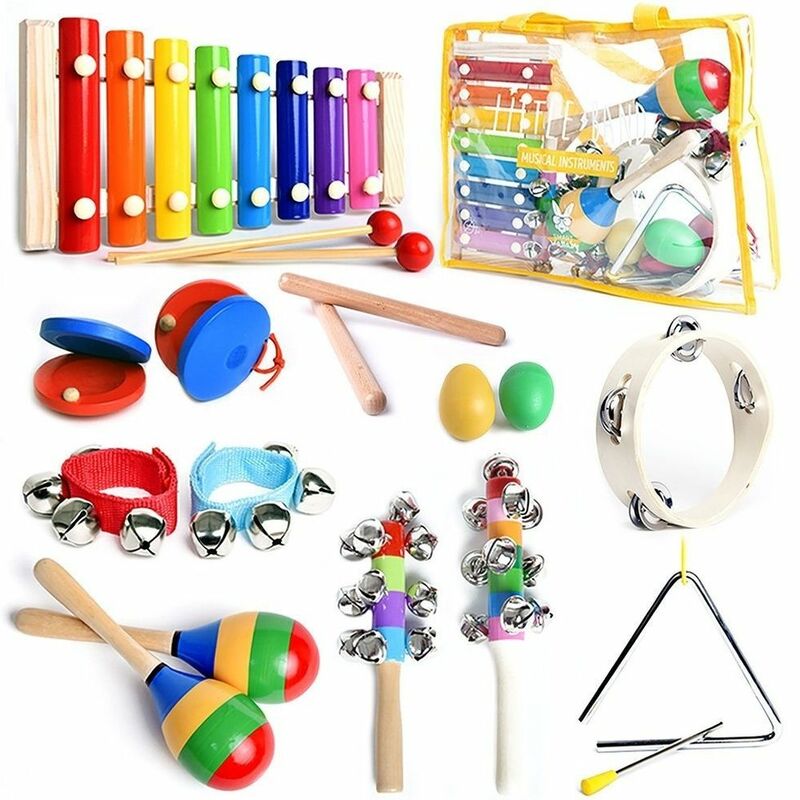 Your littles will come back to these toys again and again. Realistic play is one of the tenants of Montessori-based education; it helps children relate to and understand the world around them and develop meaningful connections. 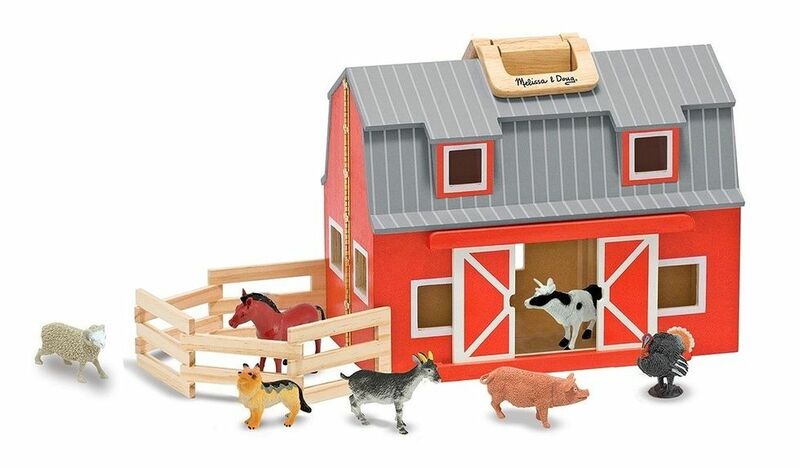 This beautiful wooden play barn and seven realistic animal figurines will capture the imaginations of babies, toddlers, + preschoolers alike. It even folds and features a carry handle for easy take-along play! Let your little artist's creativity flourish with this wooden double-sided easel that will take her from first scribbles to preschool masterpieces! 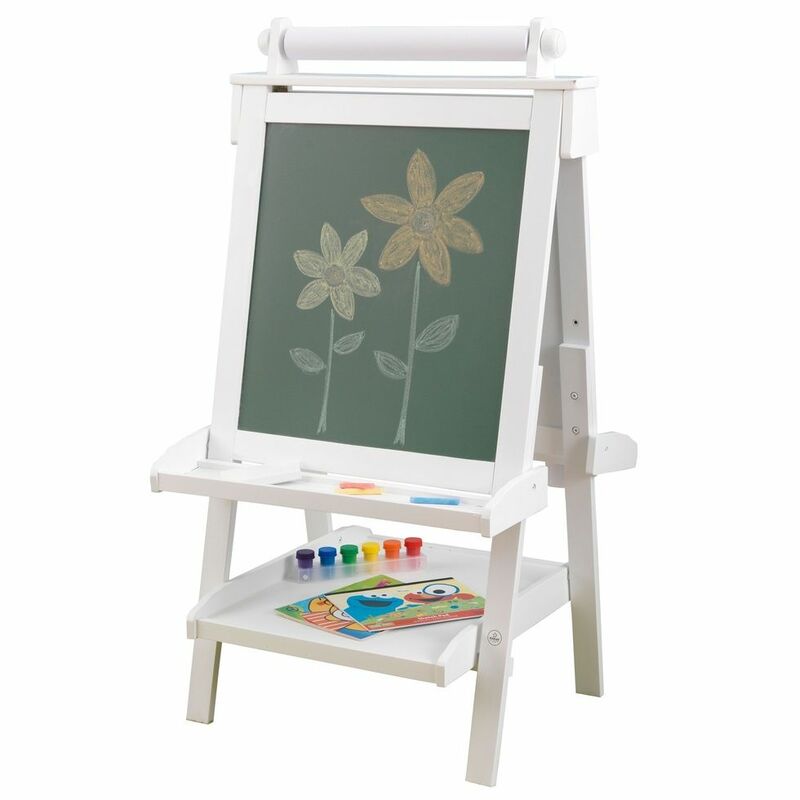 This simple yet functional easel features a chalkboard, a whiteboard, a refillable paper dispenser, and two trays for storing paints and other art supplies. It's sure to become a playroom staple. 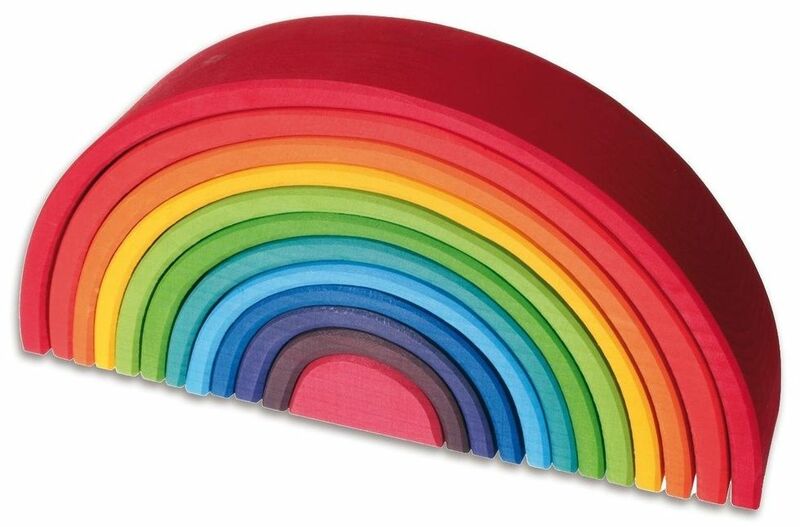 This rainbow may look basic, but through the eyes of your child, it offer endless opportunities for imaginative play! From early concepts like color identification and developing fine motor skills, to more advanced concepts like building, nesting, and pretend play, this simple, colorful—and so, so beautiful—heirloom-quality puzzle stacker will quickly become a playtime favorite. It's also available in a 12-piece larger size. Exploration + activity are two important pieces of the Montessori philosophy—little hands should be encouraged to sort, pour, scoop, and empty with all kinds of liquids and materials. 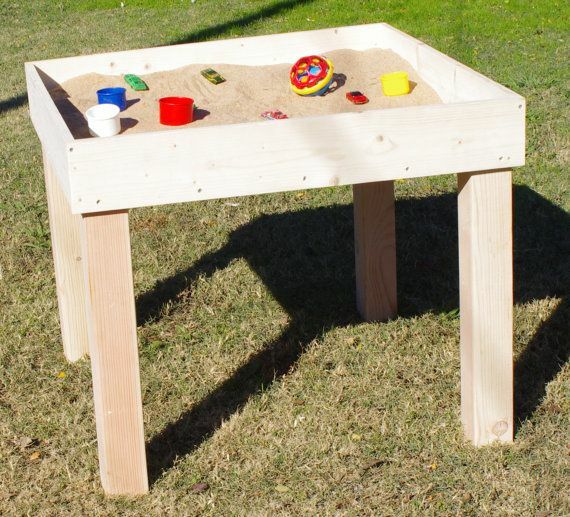 This handcrafted sensory table made from natural pine is a great way to check all of those boxes and contain the mess 😉 It can be filled with sand, rice, or even hold trays of water for years of sensory play. It can even be personalized! 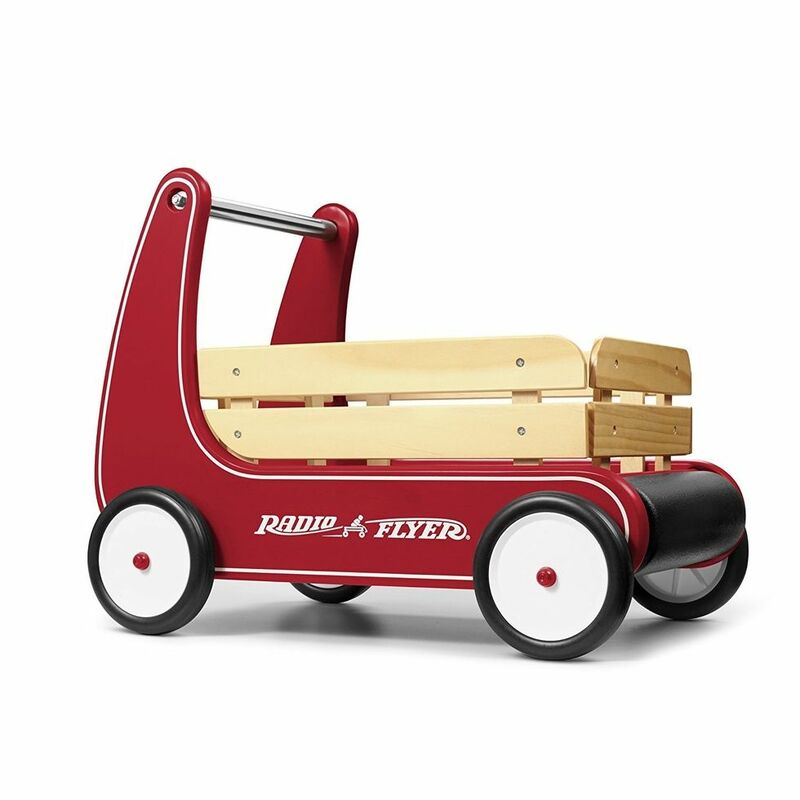 Radio Flyer wagons have been around for decades—and for good reason. They're beautiful, fun, and functional, and can be enjoyed by babies + toddlers alike. We love the early walker take on this one, featuring "resist push" that allows beginning walkers to safely build confidence + balance. (We also love the furniture-friendly bumpers!) After once little one learns to walk, he'll find still find lots of other uses for this classic toy. Is it a couch? A bed? A spaceship? Or a castle? Only your little one will know the answer! 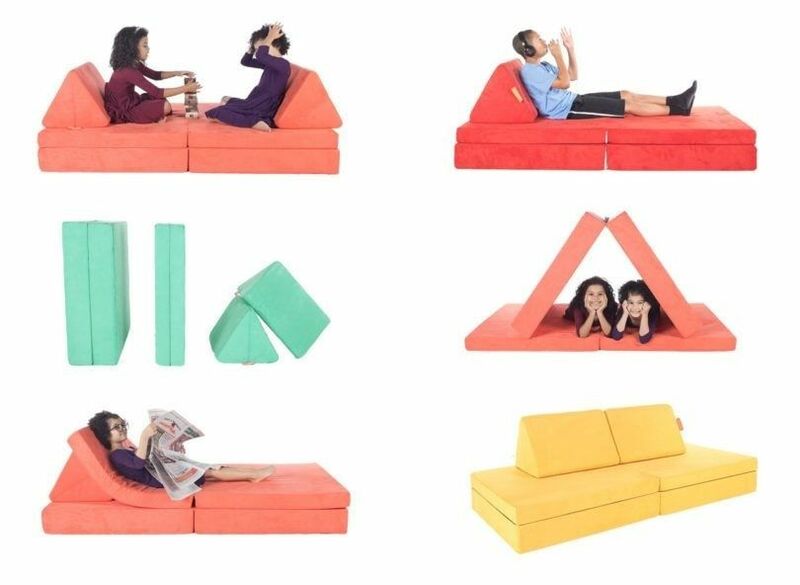 Encouraging open-ended play is a Montessori must—and this ingenious kid-sized "couch" with four separate foam pieces offers endless play possibilities. Your little one will love that it's fun, soft, and endlessly rearrange-able, and you'll love that it's safe, free of harmful chemicals, and machine washable. There's a simple delight in watching objects speeding down a ramp, and that joy is not lost on this classic toy. 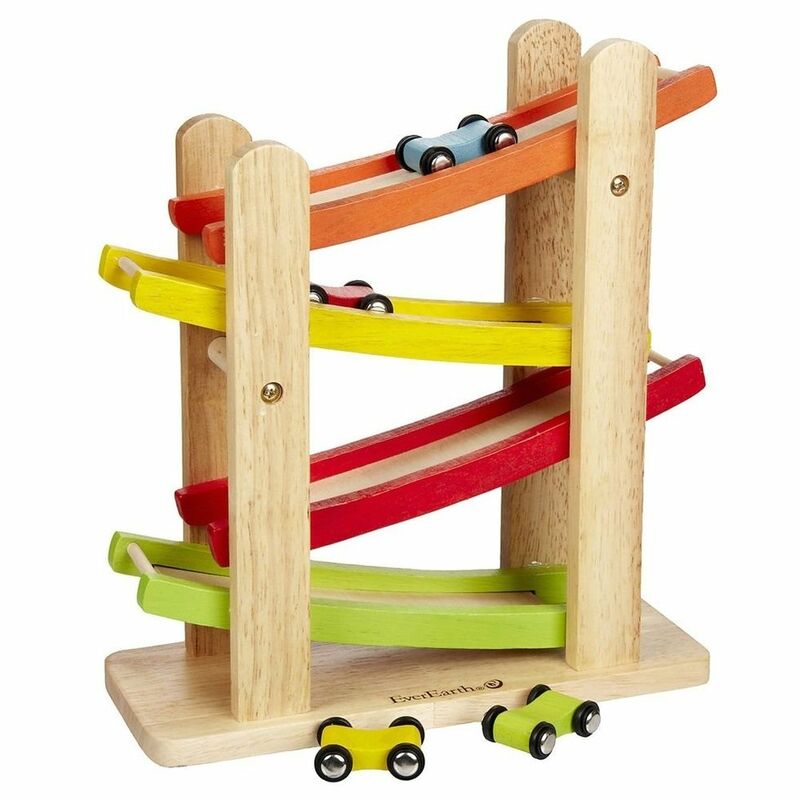 This ramp racer is not only fun, but teaches fine + gross motor skills, cause and effect, hand-eye coordination, and much more. Babies will laugh as the cars speed down the ramps, while toddlers + older kiddos will love engaging in pretend play and racing their cars over and over again. Blocks are the ultimate in Montessori must-haves; they teach endless developmental concepts and provide hours upon hours of creative, open-ended play opportunities. 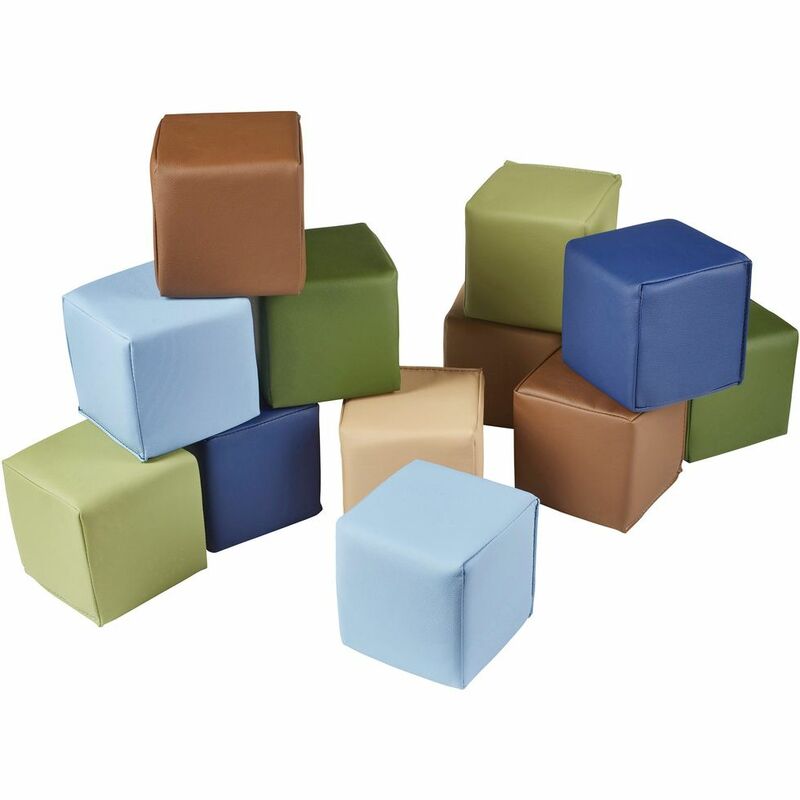 For a different take on the classic block set that babies + older kiddos will love, we can't get enough of this set of oversize foam blocks. Made from soft, durable foam, your little ones will love building, stacking, and most importantly knocking down these super fun blocks for years.